Travel the globe with The Southern Review! Raise a glass of wine in Yugoslavia with Josip Novakovich, track a jack pine savage with Adam Schuitema, and float down the Bogue Falaya with Alison Pelegrin. Ceridwen Dovey’s fiction explores rural South Africa, while Christine Sneed’s story tours Paris and David St. John’s long poem, “Emanations,” remembers the coast of California. Other contributions include poems by Louisiana Poet Laureate Peter Cooley, Tom Sleigh, and Rose McLarney, and fiction by Jill McCorkle and Argentinian author Eduardo Sacheri, translated by sports literature scholar Richard V. McGehee. The issue also features art by internationally acclaimed painter Kehinde Wiley. Give a listen to featured poems and stories on our Soundcloud page, read about the issue in Jessica’s blog post, and order the issue today. 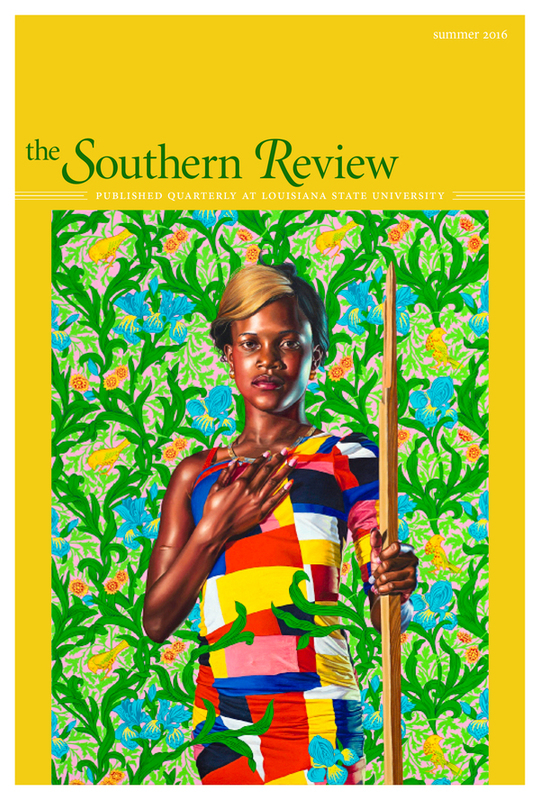 For our readers who also teach, there’s still time to add The Southern Review to your syllabus for fall. 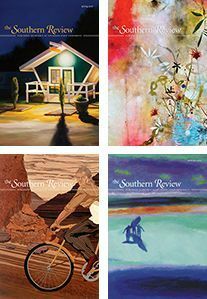 The Southern Review is a great resource for creative writing workshops and literature classes, allowing you to teach an exciting mix of contemporary poetry, fiction, and nonfiction from established literary voices and emerging talent. We are proud to be a part of two course adoption programs: CLMP’s Lit Mag Adoption program and Journal of the Month—both great ways to get the journal into your classrooms next semester. Our next submission period opens on September 1—less than a month away! Like last year, we will accept online submissions for fiction and nonfiction, and mail submissions for poetry, fiction, and nonfiction. See the complete submission guidelines here, and we look forward to reading your work. Please mark your calendars for Thursday, September 8, 6-8 pm at the Southern Hotel in Covington, Louisiana (428 East Boston Street, Covington, LA 70433), as we celebrate the publication of The Southern Review contributor Alison Pelegrin’s new book, Waterlines. A journal contributor since 2004, Pelegrin contributed a craft essay to last year’s Katrina anniversary feature (click here to listen to it on Soundcloud), and a poem from the collection is featured in the summer issue of the journal. This special event co-hosted by The Southern Review and LSU Press.